First of all, thank you very much for visiting us! We hope you'll find your favorite items here. We are always standing by to help make your shopping experience a happy one! Thank you for giving us a chance to do so! Your business is much appreciated! That may incur in your country, when incur, it would be at your own responsibility to take care of. 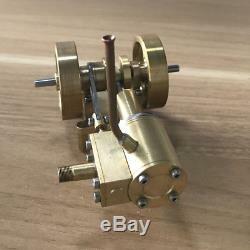 Full brass made of, designed at a micro tractor outlook , looks amazing cool! 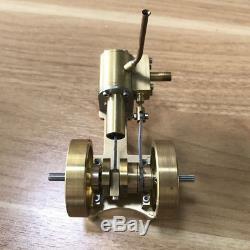 Twin flywheel, single cylinder, single crankshaft design that make the engine runs more stable. Running-direction reversible under manual control. Ready to run, just connect with a steam boiler it can run immediately. Mini while powerful, good for DIY user to design as power source for Marine Model and so on. 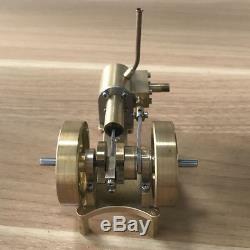 Flywheel Diameter : 40mm (twin flywheel). Unit Dimension : 100mm(L) x 75mm(W) x 55mm(H). Note: the engine part will come exactly as the pictures show, all pictures are truly captured. 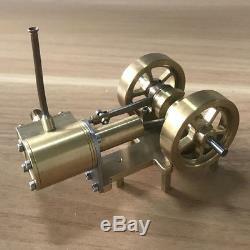 1 x Steam Engine Part as the picture show. 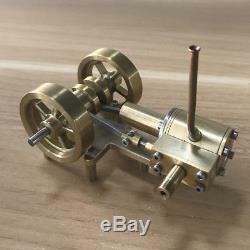 The item "Mini Steam Engine Tractor Model Toy DIY Micro Power Generator Engine Motor Part" is in sale since Saturday, June 23, 2018. 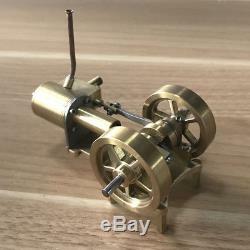 This item is in the category "Toys & Hobbies\Models & Kits\Tools, Supplies & Engines".